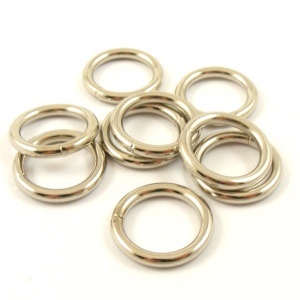 O Ring Nickel Plated Steel 12mm 1/2"
These rings are made from cast iron with a welded join, plated in nickel for a silver finish. 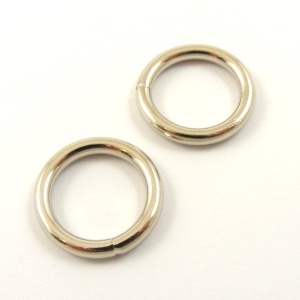 The internal diameter is 12mm (1/2") and the external size is 18mm, just over 5/8". On this size of ring, the metal is 2.5mm thick.